Two years ago in May 2009, we held our first major public screening at Adam’s alma mater La Jolla Country Day School in San Diego. Over 100 screenings later, we’ve returned to Adam’s hometown for another event at the San Diego Chinese Historical Museum. Early on in our project we had contacted the museum to do background research and also film some historical artifacts. Museum director Dr. Alexander Chuang and his staff were very generous in sharing their knowledge and support for our project. It was great to come back with the finished film and have a showing at the museum’s Sun Yat-sen Memorial Hall. We had a fantastic turnout with a full house of 100 people, who all managed to fit inside the cozy auditorium. Some audience members had attended our first screening two years ago, and noticed the difference between our earlier version and the latest cut (we’re up to Cut #21 now!). Many thanks to Dr. Chuang and the terrific museum staff for hosting us and organizing a wonderful reception afterwards. Here are photos from our screening at the San Diego Chinese Historical Museum. Autumn Gem is featured in UTSA Today, the online newspaper for the University of Texas at San Antonio. We’ll be screening there on Sunday, November 13, 2010 from 3:30 pm to 5:30 pm. Here’s the article, copied below. (Nov. 10, 2010)–As part of UTSA Diversity Month, the UTSA East Asia Institute will host a free screening of the documentary “Autumn Gem: The Story of China’s First Feminist” at 3:30 p.m., Sunday, Nov. 14 in the University Center Retama Auditorium (2.02.02) on the UTSA Main Campus. Directors Rae Chang and Adam Tow will attend the screening to meet the public and discuss their project. 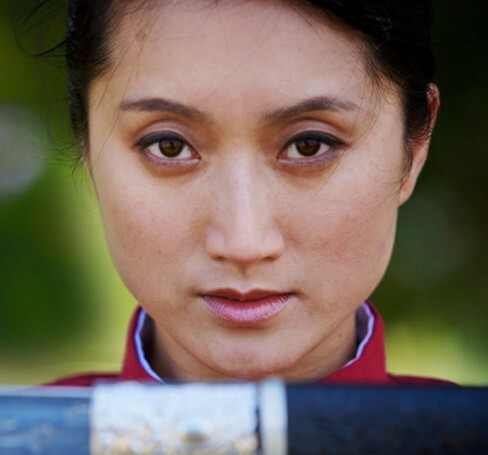 The film is about Qui Jin, a Joan of Arc-style character, who defied tradition to become the leader of a revolutionary army fighting against the corrupt Qing dynasty. The radical women’s-rights activist challenged traditional gender roles and emerged as a national heroine celebrated in China today. Jin envisioned a future where women would free themselves from the confines of tradition and arise as strong and active citizens of a new and modern nation. She spoke out against foot binding and other oppressive practices and demanded equal education for girls. Chang graduated from the University of California at Berkeley in 1994 with a bachelor’s degree in art and anthropology. Her short films have been presented at APAture Film Night in 2003 and the Women of Color Film Festival in 2004. Tow is a digital media producer and Web consultant who graduated from Stanford University in 1997 with a degree in symbolic systems. An accomplished photographer, his work has been published in the New York Times, Stanford magazine and the San Francisco Chronicle. The UTSA East Asia Institute promotes appreciation and understanding of East Asian societies and cultures through research, outreach, networking, education, student-faculty exchange, and business development and cooperation. The institute organizes seminars, workshops, lectures, conferences, film festivals and art exhibitions as well as bringing in performing art groups from China, Japan, Korea and other Asian nations. The institute encourages faculty research collaborations within UTSA and with participating East Asian university researchers. For more information, call 210-458-4943 or e-mail eai@utsa.edu. On Tuesdsay, we took the Metlink Tram to Burwood where one of the campuses of Deakin University is located. 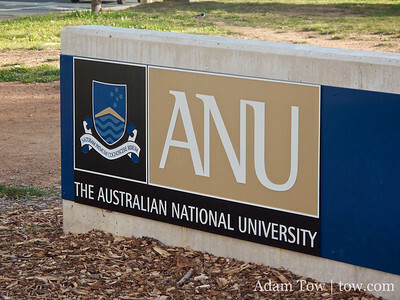 Deakin is a relatively new university, having only been established 25 years ago. It has campuses in several locations, including Geelong, the site of the 2010 Worlds Cycling Championship happening this week. Had we more time, it would have been fun to see some of the top racers in the world duke it out — drug-free hopefully — for the rainbow colored jerseys. In contrast to the RMIT University screening the previous day, we had a lot more staff and outside guests come to this screening. There were several friends of my parents’ friend Bella in attendance. In addition, two of Li Jing’s compatriots from the Beijing Wushu Team were present. We have enjoyed meeting and making connections with the extended family of all those who contributed to the development of Autumn Gem! 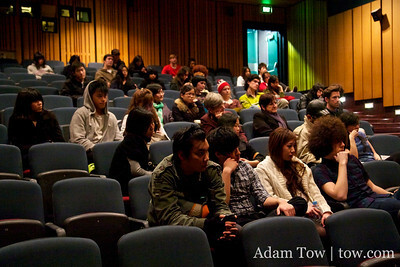 On Monday, we had a screening at RMIT University in downtown Melbourne. The city features a wide range of architectural styles, and the RMIT student center was definitely a unique example. One of the buildings looked like it was covered with green slime! 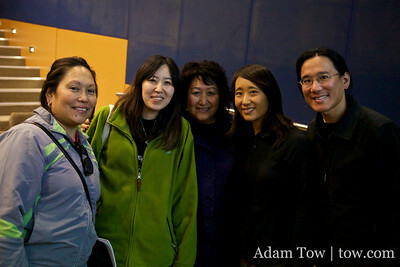 Our screening was organized by Professor Lisa French in conjunction with her “Asian Cinemas” class. Lisa’s research interest is in gender and feminist issues in film, so we thought our film would be a good fit. The audience consisted mostly of students, as well as our friend Jen and Melinda O’Connor from 3CR Radio, who had interviewed us a few days ago. 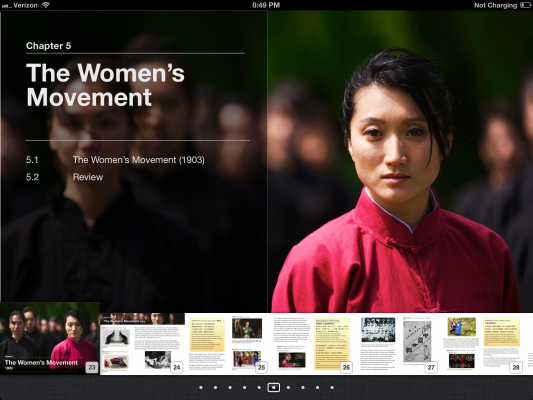 Our Autumn Gem Preview app for the iPad made Apple’s New and Noteworthy list on Apple’s App Store. Check it out! Thanks to Ivan at XBureau, the developers of the app, for catching this!